Take away the guess work of packing and shipping. We get your product into the right hands, on time. Our dedication doesn’t stop when the display is built. We want everything to arrive safely, correctly, and just the way you’d imagined it. Understanding that the retail supply chain can be challenging, we have the necessary experience to help you meet distribution guidelines and shipping challenges. Knowing that you may need one order bulk packed and warehoused for later use and the next order fully assembled and ready to display in a big box retailer. We assist customers by installing lighting, audio and video components, and graphics to further highlight your brand and draw attention to your product.  Need to take it a step further and have your product included with the display? The McIntyre Manufacturing Group offers fulfillment services to provide you a turnkey option allowing the shipment of ready to display units into a store or retail setting. We have relationships and familiarity with major small package couriers, less than truckload, and full truckload carriers. At the end of the day this means that we can ship your products just the way you want – direct to product representatives, your warehouse, a distribution center, or direct to retail. If you aren’t quite ready to ship, or have space limitations, the McIntyre Manufacturing Group offers short-term warehousing to help bridge the gap between production due dates and delivery dates.